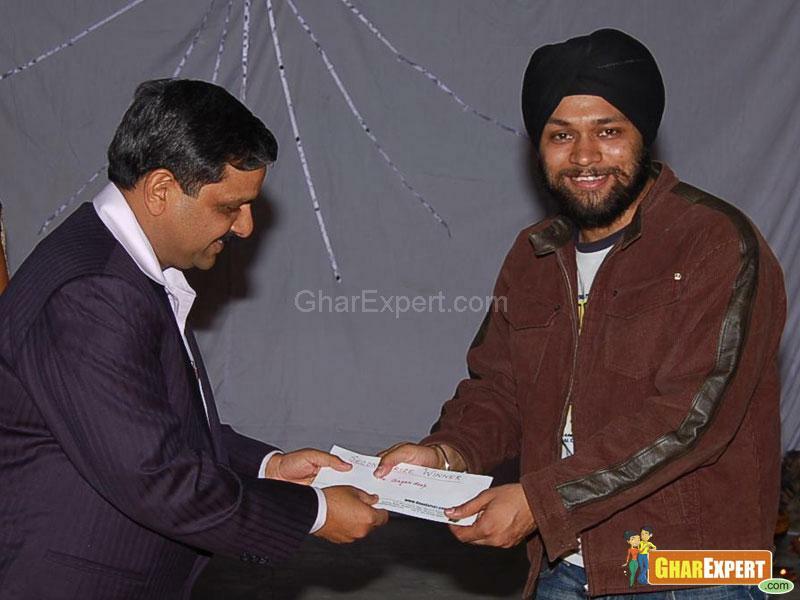 GharExpert.com announced the results of ‘Design a Dream’ Competition which was floated for 4th and final year students of ‘Murthal Engineering College’, Sonepat. 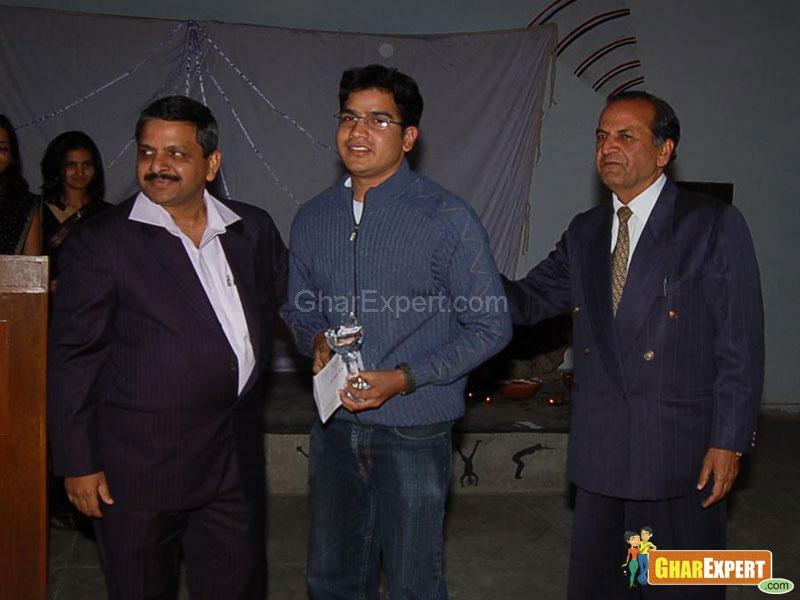 Prizes were distributed by Mr. Rakesh Agarwal, a leading architect of NCR and Mr. Anil Kumar, Chairman and H.O.D. of Architectural Department, Murthal Engineering College, Sonepat presided over the function. Dr. H.B.D. 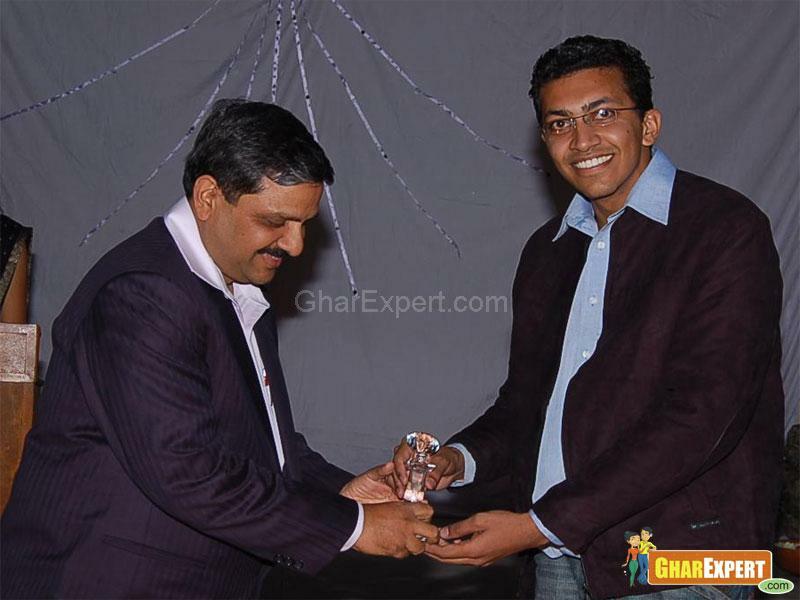 Arora and Mr. Rajnish Utraja from GharExpert.Com were also present at the function. The design problems were following. An executive with an Indian firm that has a global footprint has bought a 300 Sq. m. plot in a developing sector in Sonepat. He wishes to make a single family dwelling unit on this plot. He is an open minded person and envisages that he will be staying here with his two children and elderly parents. His present assignments require that he may stay away from Sonepat and consequently he may have to rent out this house for a few years. His requirements are a drawing dining space, a lobby, four bedrooms with attached toilets, a spacious kitchen, a store, garage and a servant’s room with a toilet. The plot measures 12 metre by 25 metre with North South Orientation towards the longer site. The abutting road of 6 metre width is on the northern side. The set backs are 4.5 metres in the North, 4.5 metres in the South and 3 meters in the East. The garage can be located in the side set back but with a clear set back of 10 metres from the front. The house can be 2 and ½ floors. The client would like to have maximum greenery and comfortable public and private sit outs in the house. Our experts examined their projects and made the results as follows. 1. Entry by Mr. Aashish Batra won the ‘First Prize’. 2. Entry by Mr. Gagandeep Singh won the ‘Second Prize’. 3. Entry by Mr. Gauresh Garg won a special prize for a “Style & Character” in his design. Points Management System To encourage participation, GharExpert provides a system of points.